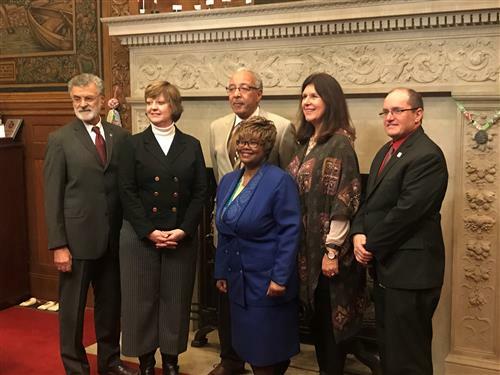 12/14/2018 -- The District asked the Cleveland Transformation Alliance to recommend partnership criteria. 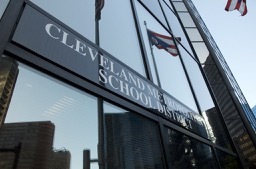 The Transformation Alliance, which was created to monitor schools' progress under The Cleveland Plan, worked on the project with representatives of CMSD and the charter sector over the course of two months. 3/21/2018 -- The Cleveland Board of Education has taken a preliminary but important action that helps advance the city’s bid to become the nation’s fourth chapter of Say Yes to Education. Say Yes chapters provide scholarships that high school graduates use to fill gaps in college tuition. But more importantly, the chapters coordinate community academic and social services that keep students on track to high school graduation, college or post-secondary education and careers. 3/13/2018 -- The board unanimously approved a resolution calling for steps that include banning assault-style firearms and mandating universal background checks for gun owners. 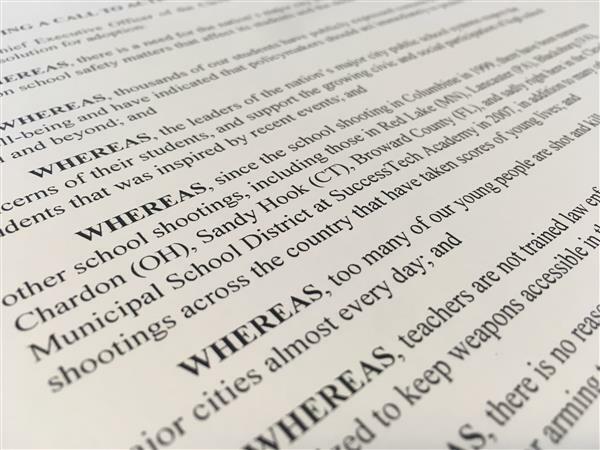 The measure also expresses opposition to arming teachers. 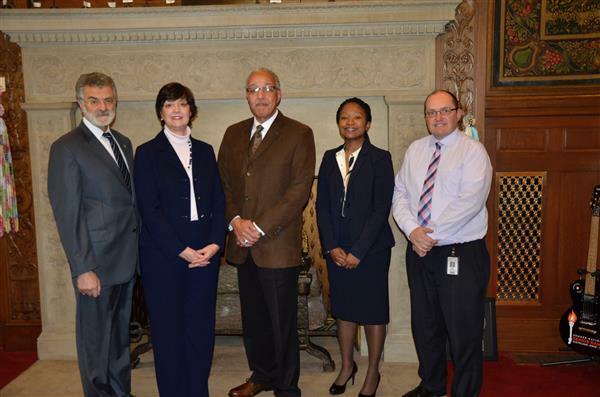 12/19/2017 -- Mayor Frank G. Jackson administered the oath of office to four Board of Education members on Monday, but the makeup of the board remained unchanged. Jackson reappointed Chair Anne E. Bingham, Vice Chair Robert M. Heard Sr., Willetta A. Milam and Lisa Thomas to terms that will expire on June 30, 2021. 12/7/2017 -- The competition puts an emphasis on manners, discipline, respect and professional conduct. 1/9/2016 -- The board promoted two current members to leadership positions and brought on a new member to fill a vacancy.